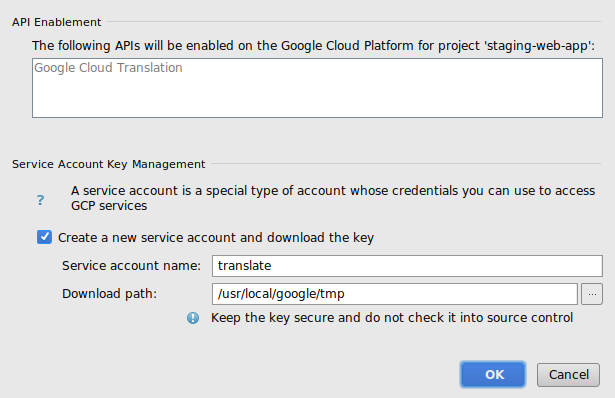 Great news for IntelliJ users: You can now use Google Cloud services and APIs right from JetBrains’ integrated development environment (IDE). 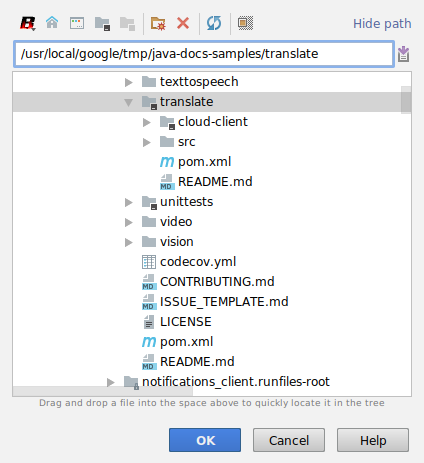 With the Cloud Tools for IntelliJ plugin, you can now discover APIs, consume them, and test against them locally, all without leaving your IDE. The Cloud Tools plugin for IntelliJ streamlines the development process by integrating tasks into the IDE, such as enabling Google Cloud APIs, creating service accounts for local development, and adding the corresponding Java client libraries to your build. 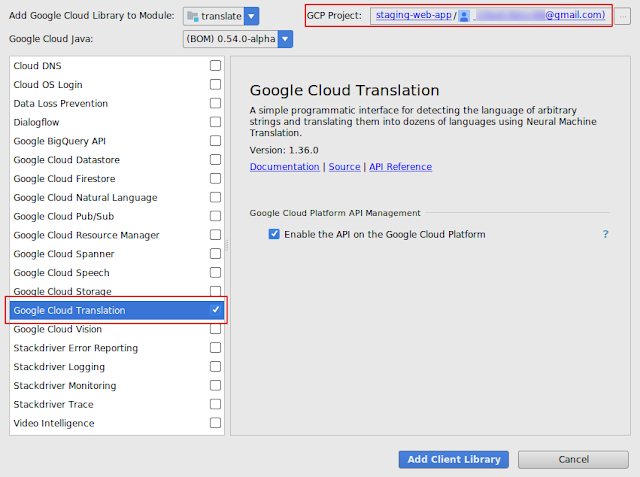 Say you are interested in using the Cloud Translation API in our Java Maven-based project. 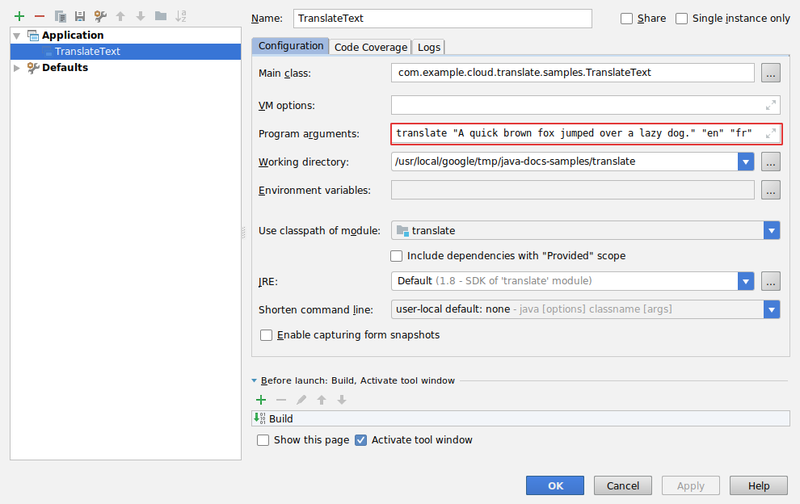 If the Cloud Tools for IntelliJ plugin isn’t already configured, then first install it as described in this quickstart. Clone the example Cloud Translation project, which allows you to translate some input text from English to French.